﻿ Get Air Trampoline Park - Ohio. Find It Here. 3, 2, 1.... JUMP! Get Air Trampoline Park in West Chester, Ohio provides high flying fun for the entire family. 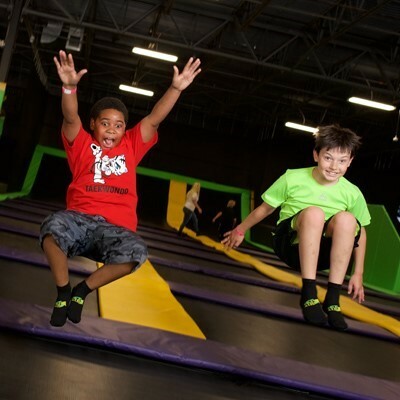 This indoor trampoline park features wall-to-wall trampoline action, basketball dunking lanes, tumbling tracks, slacklines, epic dodgeball courts, and of course, foam pits! Ever dreamed of becoming a ninja? Here is your chance! Test out your skills on Get Air's ninja obstacle training course.